Autumn is settling into Rocky Mountain National Park and the transformation can be seen along Glacier Creek. 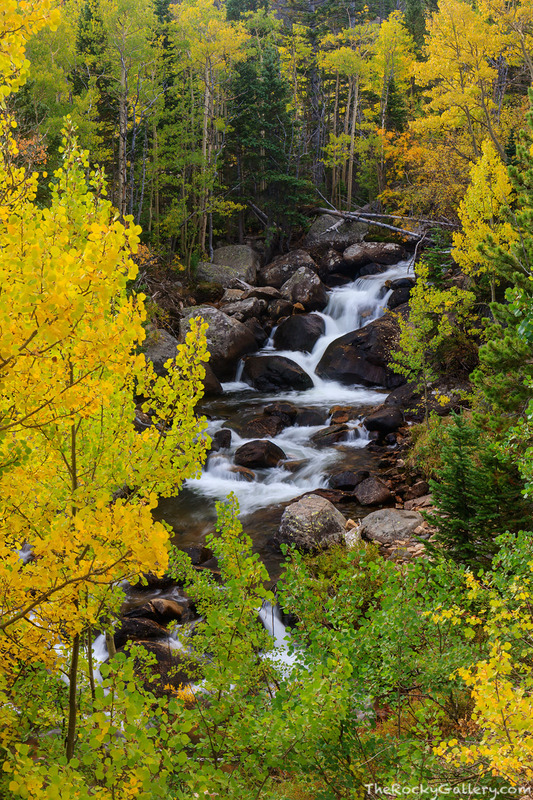 Aspens turn a golden yellow in anticipation of fall as Glacier Creek cascades downstream. Photo © copyright by Thomas Mangan.